Update:Overdrive just replied to my inquiry with regards to ordering the item. The YF-25 will indeed come with the Movie tickets, if you live overseas then I guess you end up with a fine souvenir... hehehe. Price for the item is Y6025. There will be an additional shipping charge worth Y1000 for the item to be delivered to Overdrive's offices since technically Overdrive is just ordering it for you. Then there is the service charge of Y1500 by Overdrive. Total cost without shipping fees from Over Drive to your place is Y8525. Ordering deadline at Over Drive will be November 2 while estimated release date will be between October 8 to November 18. 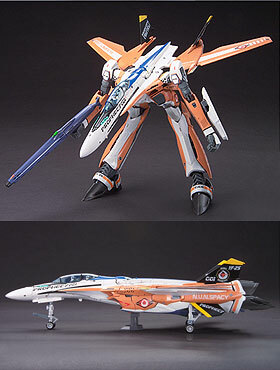 Over Drive Inc just announced via an email blast that they are taking pre-orders of the limited edition 1/72 scale YF-25 Prophecy offered by Famima that is being exclusively sold to those who buy tickets to the Macross Frontier Movie to be released this November. All you have to do is contact them at their contact page. I am assuming of course that they will be selling just the kit and that you don't have to pay for the ticket. The kit is supposed to cost something around Y6025 in Japan. Still waiting for word from Over-Drive on how much its going to cost. 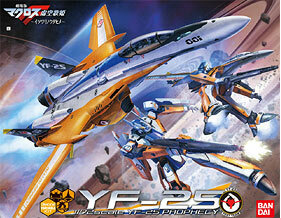 According to the story that comes with the Kit, a few YF-25 Prophecy's were made as test machines by LAI prior to the release of the VF-25 Messiah by them. 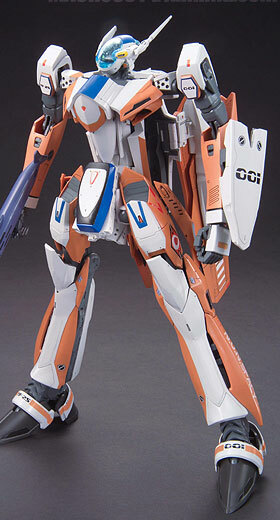 The VF-25 was derived from the YF-24 Evolution airframe but was heavily modified by LAI for better performance. The "YF" designation is used for test planes. 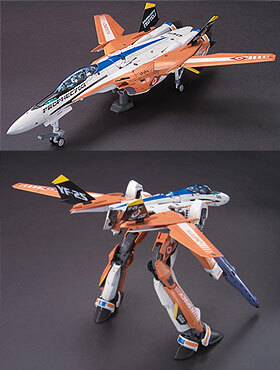 Examples of which are the YF-19 and YF-21 of Macross Plus. The YF-19 eventually became the VF-19 when it was selected over the YF-19 for frontline service, while the YF-21 got modified into the VF-22 and a limited production was made of it. 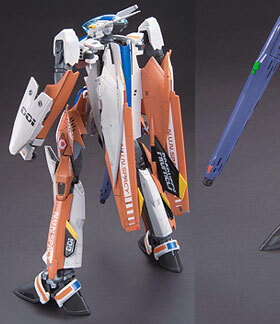 The only visual difference I'm seeing between the YF-25 and the VF-25 is a different head design and that it comes in a two seat configuration. More information about the toy can be found here and here.